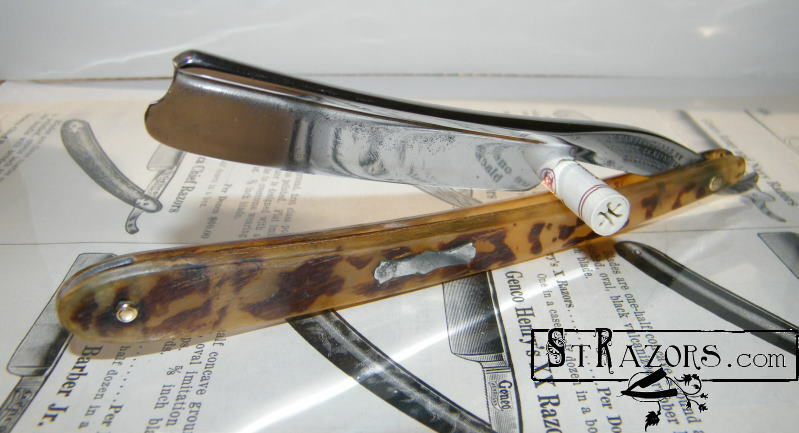 STRAZORS.com - all about classic razors - Frederick Reynolds, Sheffield. 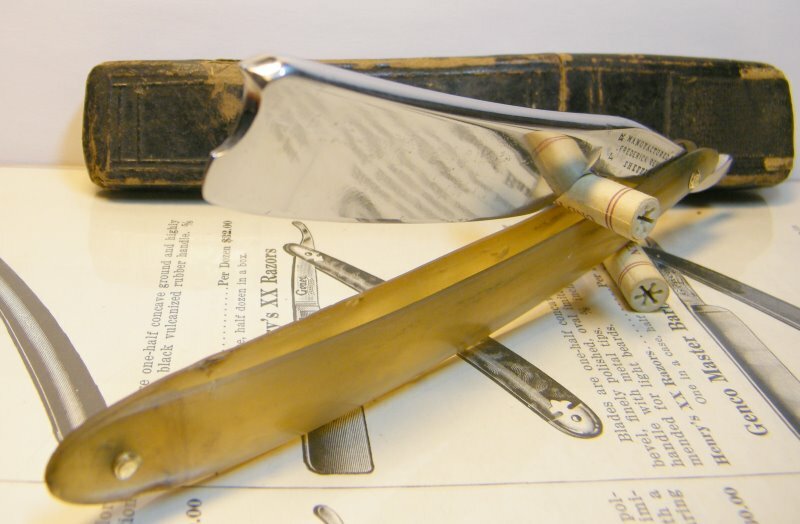 A Derbyshire-born razor manufacturer, Frederick Reynolds, was working in Sims Croft by the early 1840s. By 1849, the address was School Croft. In about 1860, he moved to Gell Street and, according to the Census, employed fifteen men. He continued to trade into the 1870s, when the address was Monmouth Lane. Frederick Reynolds died on 22 October 1877, aged 63. 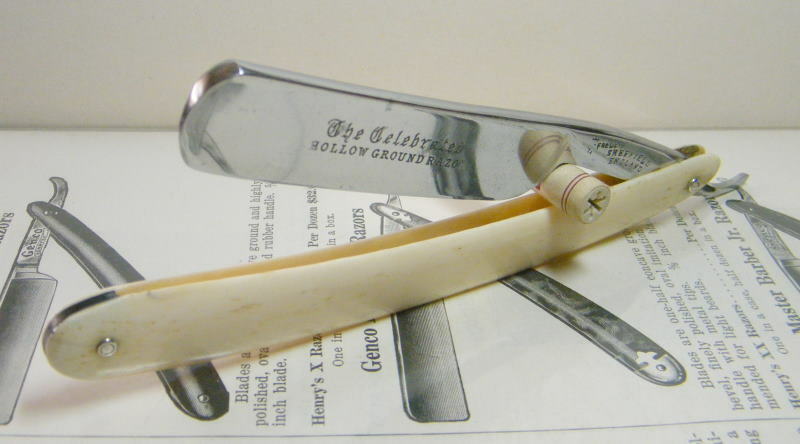 His son, Richard Reynolds continued to manufacture razors in Monmouth Lane and Gell Street into the 20th century. In the early 1920s, the firm adopted limited liability status. The firm was in financial difficulties in 1936. 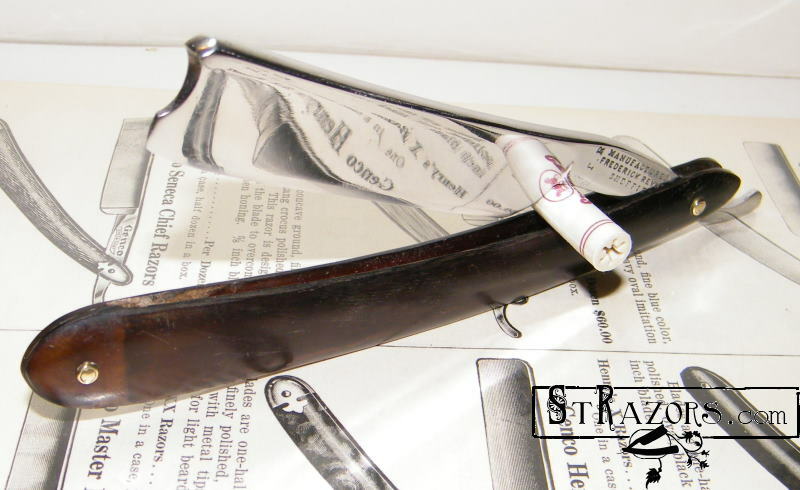 During the WWII, the firm was restyled Frederick Reynolds (Cutlers Sheffield) Ltd. The company ceased trading in the late 1940s, after the death of the founder's grandson Harry Reynolds. He died in 1946, aged 56.